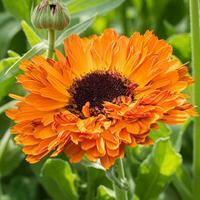 The burnt orange petals of this even-tempered annual will edge garden beds with a sprinkling of color and spicy scent. The ferny leaves are especially handsome, and make tidy mounds. 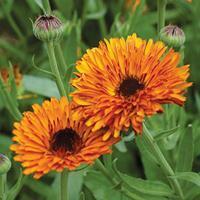 Once called Dwarf Scotch Marigold. 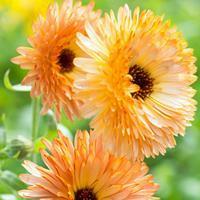 If you are not a fan of marigolds in general, I can guarantee you will fall in love with this elegant variety. It has filigree foliage and dainty blooms that enliven the garden with their warm orange color and lend a spicy flavor to salads. 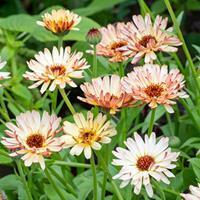 Provide flower fertilizer and regular moisture for a great summer show. The variegated white and cool green lily pad leaves of this great trailing variety set off intensely vibrant orange flowers. The abundant blooms stand well above the foliage for the best show all summer. Superb basket or container plant, or grow as a groundcover for a blast of color. At last, a nasturtium with the sweet fresh scent we remember loving long ago, found again in this bright scarlet selection. The medium “lily-pad” leaves never hide the flowers. Easy to grow and great as edging for paths or spilling from large containers, nasturtium loves the cooler weather of early summer and fall. Listed in an 1897 catalog.